Established in 1986, the Japan Anti-Vivisection Association (JAVA) is a nation-wide citizen group dedicated to protecting animals and our mission to stop all animal testing. This dog’s leg has been shattered by repeated blows from a hammer。The experiment was performed in order to induce a state of psychological stress, and therefore the wound was left undressed. No anaesthetic would be given during the course of the experiment. 1. To inform the facts about animal testing to the public, expose its ethical and scientific mistakes, and appeal to stop animal testing. 2. To encourage the establishment of alternatives that does not use animals. 3. To educate people that all living creatures are important and must be respected. 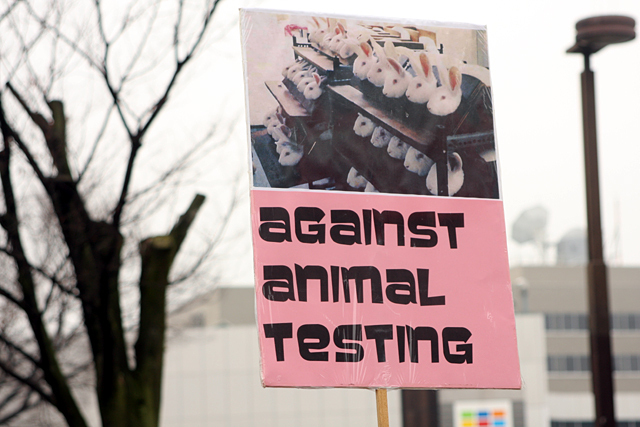 ●Requesting that the research institutions and cosmetic companies stop animal testing and adopt humane alternative research methods that do not use animals. ●Encouraging the abolishment of animal testing and promoting the adoption of alternative methods instead of conducting animal testing as an Asian representative member of ICAPO (International Council on Animal Protection in OEC programmes) and also as the only citizens’ group being at the same time a supporting member of the Japanese Society for Alternative to Animal Experiments. Performing campaigns including signature campaigns in cooperation with overseas animal protection groups. ※ICAPO is composed of major animal protection groups around the world and has been working proactively to stop animal testing. ●Providing information for citizens by holding panel exhibitions to inform about animal testing and the facts about the killing of abandoned dogs and cats at local government shelters. Requesting local governments to find new owners for abandoned animals collected at shelters instead of killing them. Making appeals to prevent the abandonment and abuse of pets, and distributing flyers to raise the awareness of the public that spaying and neutering are important to save them from miserable lives. 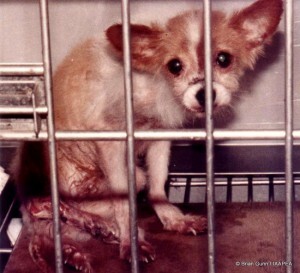 ●Requesting elementary schools, lower and upper high schools and colleges to stop animal experiments including dissection classes and inform them about alternative methods. ●Spreading the information about the current situation of the fur industry to the public and requesting abolishment of fur production. ●Publishing the “JAVA Cosmetic Guide” listing cosmetic companies whose products are not tested on animals including information about cosmetic animal testing. JAVA is supported through memberships and donations. We need your support to protect animals who don’t have a voice. We also appreciate cooperation from doctors or scientists who can offer us information about animal testing and alternatives. Please indicate the type of membership fee you have chosen. (e.g. general, supporting membership fee or donation) in the space available on the payment form. Make sure to contact us if you have any trouble in transferring your fee from your account. JAVA is supported through memberships and donations. We need your support to protect animals who don’t have a voice. We also appreciate cooperation from doctors or scientists who can offer us information about testing and alternatives. Pamphlets and flyers (Japanese) regarding animal testing or other animal issues are available from JAVA for only the shipping charge. Information packets and other goods are for sale. Please contact the office for more information by mail or email. You can buy these from the online shop.